Have you always wanted to Learn to Sail, do something different and challenging? Learn to Sail Lancashire at Burwain SC offers the chance to get in a boat and experience the thrill of sailing and catching the breeze. 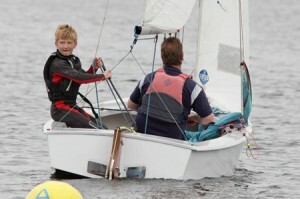 Burwain SC has combined Learn to Sail Membership Packages for all ages and experiences. 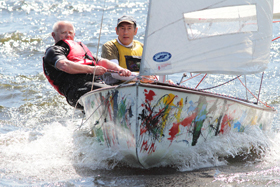 We aim make sailing accessible to all age groups, abilities and be a sport and pastime that the whole family can enjoy. Join our Learn to Sail Programme aiming to achieve RYA Level 1 and beyond. 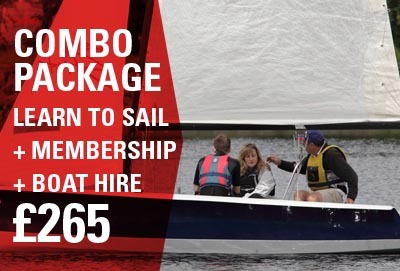 Get more from your sailing experience with a Combined Learn to Sail, Membership + Boat Hire Package. The club’s Adult Training Programme runs from April till October 2019 and is accessed by taking a combined Club Membership + Training + boat hire package. Aims of the Adult Learn to Sail Programme It offers a flexible learning package with opportunities throughout the year for 1-2-1 and group tuition in our club boats. The programme will take you through the basics of sailing: rigging and launching a boat safely, tacking & gybing, understanding wind conditions, and sailing in all directions. The aim will be that at the end of the programme you will have achieved RYA Level 1 which shows that you can sail independently in light to moderate wind conditions. When:The Training Programme has organised sessions throughout the year on Friday Evenings and Saturday Afternoons. Sessions will be in a relaxed learning environment with other beginners. The programme is flexible, You can attend as many of the 12 organised sessions that you’d like. It is expected that attending between 6-8 sessions will show progression to RYA level 1. Learning to sail with an experienced sailor is by far the best way to improve your skills. You will have the opportunities to helm (steer) the boat and also crew. These sessions will take place on Saturday afternoons during Club racing activities. Although you don’t have to join in the racing, it does offer the opportunity to sail an organised course which will give you opportunities to practice and test your new skills. The programme is flexible, You can attend as many of the 7 organised sessions that you’d like. It is expected that attending between 6 sessions will allow you to achieve RYA level 1. For Junior Sailing – please see our Sailfish Programme Sailfish Club. The Club has a number of packages to help you get out on the water. 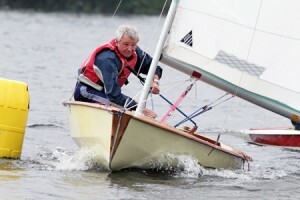 Learning to sail is combined with Club membership. Our most popular package for new members and those starting out on their sailing experience. Our Combo Package gives users access to our Organised Training Programmes PLUS Reduced Price Membership + Boat Hire. By combining your training with a full membership you get the benefit of continued support in your sailing, flexible membership and use of fully equipped club boats. Combined packages start at £265 (a saving of £100). Think you may enjoy sailing but are not sure whether you’d like to commit to a full training course? We have the perfect answer with one of our taster Sessions. 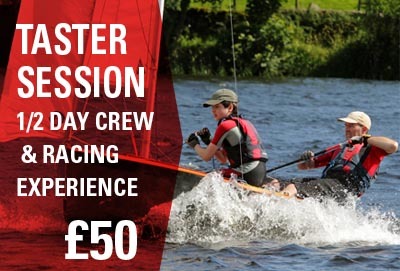 Half day crewing session – £50 One-to-one instruction while training as a racing crew. 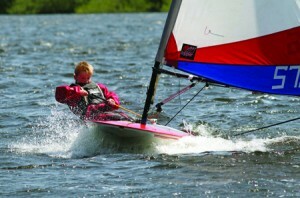 Dinghies provide an exciting and cost effective way of getting afloat to experience the thrills of sailing. You can participate in racing or just sail on your own for fun, or once you have the confidence you could take the family sailing away to places like the Lake District. The wonderful thing about dinghy sailing is that it provides one of the cheapest ways to get afloat. It is also the quickest and easiest way to learn to sail, as dinghies are easy to rig, and handle in light winds. Their responsiveness and lightness provides the perfect platform to learn how to sail and can be a great source of entertainment for everyone involved. On a Learn to Sail Course you will be given expert tuition by fully qualified and insured RYA instructors. They will cover all the basics of sailing, launching and retrieving your boat, balancing the boat setting the sails, tacking and gybing, sailing in all directions. More details are on the RYA level 1 & 2 page. Learning to sail is an experience the whole family can enjoy. Our junior Sailfish Club caters kids from age 8 to 18 where we bring the ‘FUN’ into sailing. The RYA level 1 & 2 courses are suitable for both adults and juniors.